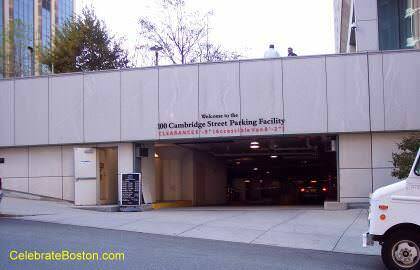 100 Cambridge Street Garage is located at Bowdoin Square, and is diagonally across from City Hall Plaza. The entrance to the garage is on Somerset Street. 100 Cambridge Street is next to the Garden of Peace, and near state office building and the Massachusetts State House. Faneuil Hall Marketplace and the waterfront are within walking distance, and are located on the other side of City Hall.